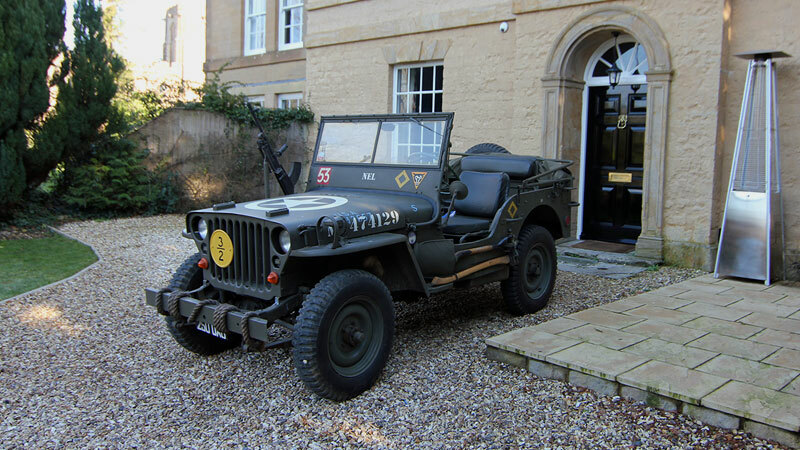 Available for hire, this immaculate, concours condition, genuine World War 2 Willys MB Jeep which can be hired for TV and film sets, photoshoots, WW2 re-enactment events, weddings, proms or any special occasion. The vehicle is available chauffeur driven only, unless required solely for static display purposes or photoshoots. The Jeep can be provided with canopy (not shown in photo), or plain, along with deactivated original WW2 weapons and accessories.